The Marine Training Institute (TMTI), a division of Beier Radio, LLC, offers a five-day U.S. Coast Guard-approved “Leadership and Managerial Skills” course at its Gray, La., campus. The Leadership and Managerial Skills course covers leadership skills and teamwork management taken from “real life” personal experiences of mariners who have been in leadership roles and from case studies collected from investigations of maritime incidents. Instructors have served in leadership positions and have successfully applied their own skills to manage ships and maritime companies. 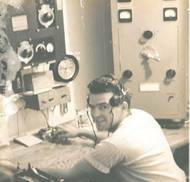 For 70 years, Beier Radio has provided engineering, sales, and service for marine electronics around the globe. As the corporation marks its 70th anniversary, it also unveils a new name for the operating company known for its advanced vessel control and navigation systems. Beier Radio is now Beier Integrated Systems. The company’s new website address is www.BeierIS.com. “While the name is new, the Beier commitment to providing quality systems and expert services has not changed. 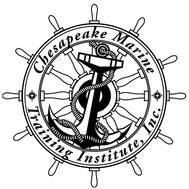 Chesapeake Marine Training Institute (Chesapeake MTI) says it will host a professional mariner job fair August 13, 2014, from 9 a.m. to 3 p.m. at its campus in Hayes, Va. 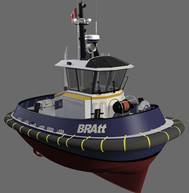 Among the mariners the companies are seeking include wheelhouse tug operators, engineers, and tankermen. Mariners of all license and credential levels are encouraged to attend. Professional marine companies, including the Maryland-based Vane Brothers Company, will be on site to meet and interview potential job candidates. Chesapeake Marine Training Institute will host a free professional mariner job fair August 13 from 9 a.m. to 3 p.m. at its campus in Hayes, Va. Professional marine companies, including the Maryland-based Vane Brothers Company, will be on site to meet and interview potential job candidates. Chesapeake Marine Training Institute staff and instructors will be available to work with job candidates on licensing and credentialing needs. Among the mariners the companies are seeking include wheelhouse tug operators, engineers and tankermen. Robert Allan Ltd., Western Maritime Institute, and Corvus Energy Limited announced that a contract will be signed for the design and construction of the world's first "green" training tugs at the International Tug & Salvage (ITS 2010) Conference, to be held in Vancouver in May 2010. Western Maritime Institute (WMI) is an accredited marine training institute located near Ladysmith on Vancouver Island, providing a wide range of operational and safety training courses for marine personnel at all levels.